Quarter Master Release Bearing - Hydraulic Race 710-Series UNIVERSAL - Dezod Motorsports Inc - Home of the automotive performance enthusiast since 2002. 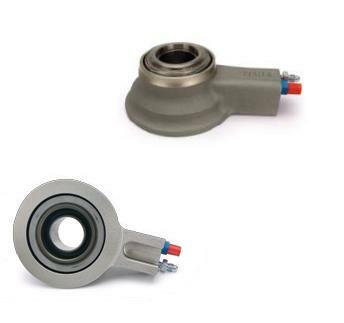 Hydraulic Race Release Bearings have been the standard in short track racing for years. Each of these release bearings features a radius faced bearing with a reduced contact radius for ease of clutch pedal and return spring to minimize continuous contact of the bearing and clutch spring fingers. They are universally adaptable and can be used with Quarter Master and OE style bellhousings (requires ball stud in bellhousing).